Hi guys, im posting here as i've tried to find the answer to my question but im now really struggling. 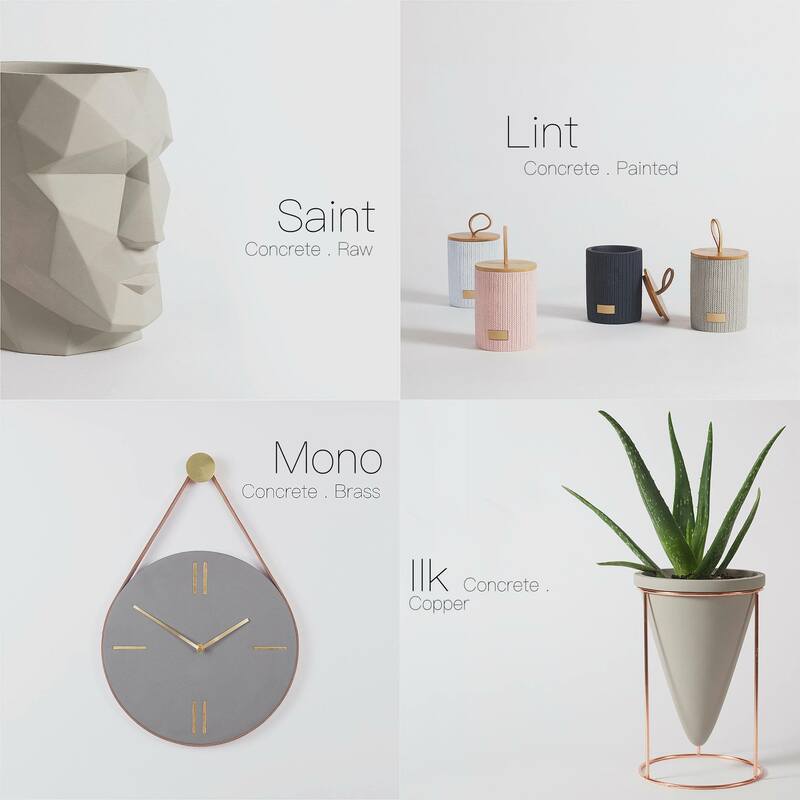 I've taken photos of all my new products for my website and im really happy with the quality, however when uploading to facebook they loose far too much quality and even go a little discoloured. Now as i can't find any step by step guides on how to export from Affinity and then upload to facebook, i've had to watch a similar video but with photoshop instead. Thank you all for any help you send my way, I'm in need of it! I'm not clear what the problem is - are you exporting the images in Affinity and getting poor results, or is it only after you've uploaded to Facebook that there's a problem? How obvious artifacts are depends of image - how many details, gradients ith have etc. Is there a reason why it has to be 2048×2048 pixels? If the file size has to be below 100KB then an image of this size is going to be of bad quality due to high compression. And I can’t think of any circumstance where these dimensions are even used to their full potential. The majority of people are using Facebook on their smartphones with their tiny displays. Even double pixel density doesn’t really matter because people won’t see a big difference (and what good does a high resolution image if it’s of bad quality due to high compression?). So, if you could do with smaller dimensions (I’d say arbitrarily 1600px max.) it would help you get better image quality because it doesn’t have to be compressed that much to stay below 100KB. If I download your image it is 215kb! I find that I cannot export it at anything less than 125kb at 0% quality. As you might expect, the quality of this image is execrable. I don’t use Facebook, but I’ve read that 960px is a standard size (which should be more than adequate for most purposes). You could even go down to 720px, which was apparently the maximum size a few years ago. How can I make sure that my photos display in the highest possible quality? But you can upload pics with 2048px wide and 5 - 10 MB without any problems. Facebook resize your pics in a good quality. @SteveSmith I'm one of those viewers who always grumbles under his breath when I get crap images of products, so I know where you are coming from wanting to get the best image viewable. Guys you've all been incredibly helpful, thank you very much. Ive been in this mindset (honestly) that 2048 is the higher pixel density which equals better quality. I use a MacBook retina 15" so maybe i notice when the quality isnt there due too lower res images but like a lot of you day most use smart phones. Thanks for your comment, the answer is no, im getting great results when i export from affinity, the pics look very professional, its only that social media upload i struggle with and i have GOT to nail this as social media will make up a lot of whats my business is once i go live. Thanks for your comment, i read this exact piece from facebook, saw they SUGGESTED 2048 and so i went along with it thinking it must be ok. Thank you guys, any more knowledge to share please feel free, i've got a lot to learn! I have to say your photos are absolutely beautiful. At what size do you upload to insta? i see 500px, is that correct? One final question to all, what do i check with the 'more' screen when exporting? I know im meant to change ICC PROFILE to SRGB (i think?) but what about the other options? 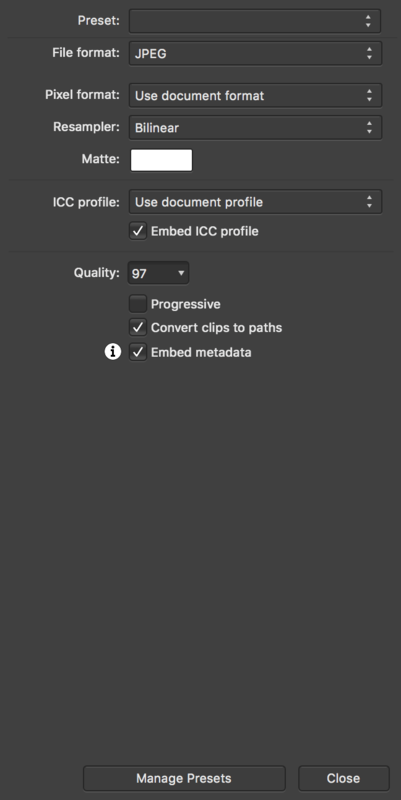 You can save file size if you don’t embed an ICC profile (however, I don’t know what effect this will actually have in a browser; as far as I know nobody has complained so far) and meta data, so that could help, too. Progressive JPEGs can help when loading the images (see https://www.thewebmaster.com/dev/2016/feb/10/how-progressive-jpegs-can-speed-up-your-website/) but this might be irrelevant for Facebook, as they might be processing the image further. 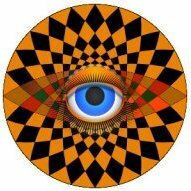 You do not need to export a square image. 2048 pixels is for the longest edge of an image. Other recommended longest edge sizes are 720 and 960 pixels. The only image that you are recommended to limit to 100 KB is your "cover photo" which should be 851 pixels by 315 pixels. For "other photos", use the minimum JPEG quality which you consider acceptable, which will vary from image to image, and don't worry if file size is several 100s of KB for large images. This is easy to do with an image editor that has a web export feature that provides a preview and reports the expected file size while you tweak the quality level before actually doing the export. With Affinity apps, finding the optimum compromise between quality and file size for an image is likely to induce a headache - you'll have to do numerous exports at various quality levels and inspect them. Hang on, im completely confused. So your now saying you upload images to insta at 3000px? Surely thats a massive file size and will get compressed to hell? This is going against what you and everyone has said all throughout this thread isnt it? What and i not understanding here? @SteveSmith it depends on what you want. E.g. Insta is a hobby. I don´t check the quality. Sometimes I upload pics 6000x4000px from AP. The compression from Instagram AND Facebook is sometimes very well. If I don´t like the result, I resize the photos, especially when I combine Photos & Text or there are delicate color gradients. How ever, create a new Facebook Page. But do not publish the page to public! Then test, test, test ... view the results on mobile devices and so on. Only the cover photo makes sometimes troubles. So I try again and again. Most of my photos are exactly the suggested PIXEL sizes, but in HIGH Quality. Take a look to my looooooong att. file !! !